Welcome to the first installment of our new column, “Armed and In Charge,” sponsored by LaserMax. 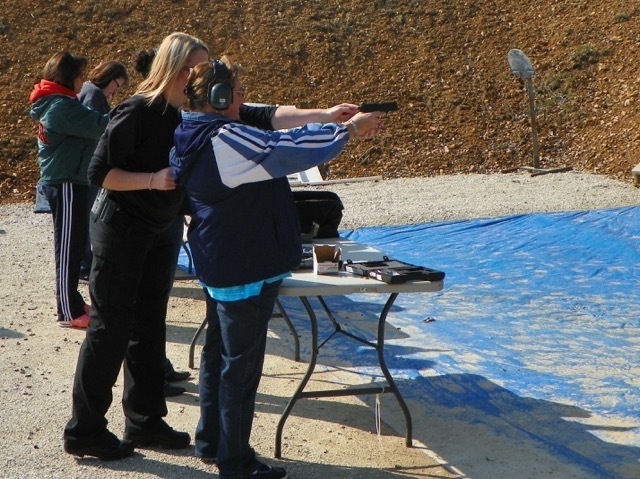 In this post, our new columnist Stacy Bright lays out why concealed carry holders need to train with their firearms — training beyond the requirements of concealed carry. 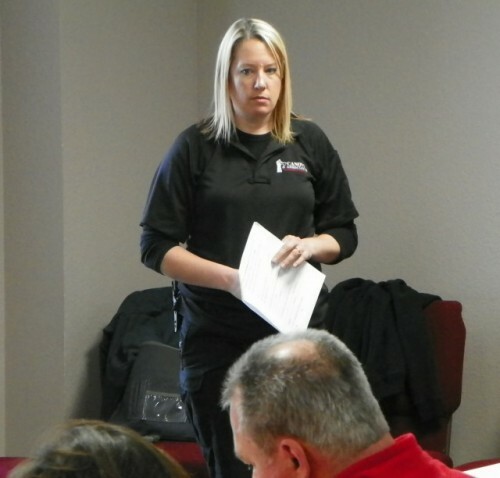 Stacy is a concealed carry instructor in southwest Missouri and we are delighted to add her to the ranks of TeamWON. Armed and In Charge is sponsored by LaserMax, Inc. Depending on the state you live in, the requirements for getting your concealed-carry permit—also called a concealed weapons permit or concealed pistol license—vary greatly. Some states, such as South Dakota, only require an application, background check and a $10 fee, without any classroom or live-fire training and testing. In other states, such as Kansas, the applicant must complete an 8-hour training and safety class, pass a background check, and pay a fee of $150. 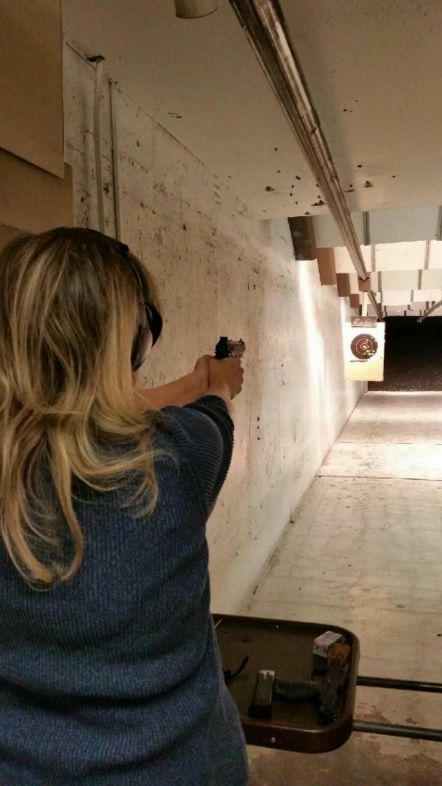 Regardless of how someone acquires her concealed carry permit, she should continue to seek further training. Any type of basic pistol or concealed handgun course should be merely a foundation or stepping stone. Let’s look at some reasons why training beyond a concealed-carry permit is important. First of all, the primary reason someone decides to carry a concealed firearm is for personal protection. Yet the gun itself cannot save your life, nor the life of a loved one, without the knowledge and training of how to use it. Simply holstering a gun and strapping it to your body doesn’t give you the ability to draw, aim, and squeeze the trigger quickly and accurately when presented with a life-threatening situation. In my opinion, a concealed-carry weapons (CCW) course should cover several objectives: safe gun-handling rules and the ability to follow them; how to load and unload both a revolver and semi-automatic pistol; basic principles of marksmanship such as grip, stance, sight alignment, trigger squeeze, and sight picture; an understanding of the laws of the state in which you’re applying for a permit; and, finally, the ability to hit the target. Many of my students come to my classes completely unfamiliar with any type of firearm, and some have never touched a gun. The classes that I teach include all of the above objectives, and I work with each student at his or her level of knowledge and confidence. But even with the skills and information presented in a thorough classroom setting, that should not be the sum total of firearms training. As I stated earlier, it should be the foundation upon which all future training is built. One way or another, you must get training with your firearm. Unfortunately, however, most CCW classes don’t cover real-world skills. One of those real-world skills would be how to draw your gun from a holster. That sounds simple enough, but if you’ve never practiced it, you won’t do it well or safely. You must also consider what type of holster you’re wearing and its location on your body, as well as the type of clothing that might be covering the holster. Drawing and re-holstering can be dangerous to yourself and those around you. Care should be taken to follow the rules of safe gun handling, paying close attention not to sweep the muzzle over any part of your body. Along with drawing the gun, you’ll also need to get good shots on the target. In a life-threatening situation, a few seconds might be all the time you have to respond quickly and accurately. If you haven’t had the opportunity to participate in an IDPA (International Defensive Pistol Association) match, I’d highly recommend it. I’ve found that it’s a great way to challenge yourself in drawing quickly, acquiring your target, shooting on the move, and adding a little stress to the mix to see how well you shoot under pressure. 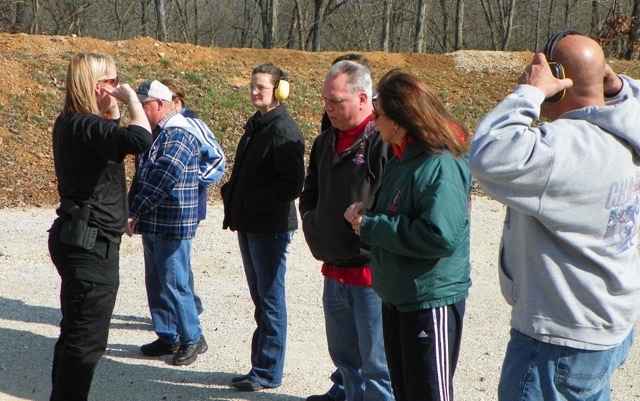 IDPA will help you learn more about your gear and show you where you need more practice. Another factor that is often overlooked is how to use your firearm in low-light conditions. According to the FBI, more than 60 percent of all police shootings happen in low-light conditions. This means that the likelihood of having to use your firearm at night—in the darkness of your home or in a poorly lit parking lot—is greater than during the day. Going to the range and spending hours on end lining up your sights and getting accurate hits on the center dot of the target won’t help you much if you haven’t learned how to shoot without being able to see your sights. Various techniques, including point shooting and body alignment, can help you overcome the inability to see your sights, yet still get accurate hits on the target. Whether you’re a beginner or advanced shooter, understanding and following the rules of safe gun handling should be the most important aspect in carrying a firearm. After that, continue to learn. All training doesn’t have to look the same. Practice with blue guns, computer simulators, airsoft guns or a live firearm. Search out a local firearms trainer who does more than have you shoot at stationary paper targets. Hopefully you’ll never have to use your firearm to protect yourself or your loved ones. But in the event you do, you’ll be thankful that you chose to train beyond the requirements needed to obtain your concealed-carry permit! Kansas just passed legislation that says we no longer require anything to carry concealed. It will go into affect on July 1st 2015.